Maidenhead is a great place for business and the Government is rolling out schemes to help make the economic climate even more attractive for people by creating more job opportunities in the area. Small businesses are an essential part of the Maidenhead community, and they bring in jobs and thus, economic security. Maidenhead boasts excellent leisure facilities including theatre, the Magnet Leisure Centre and Bowling. The town is a very lively place to live and work and is full of events all the year around. The farmers’ market is one is the regular events of Maidenhead. DNS Accountants can help small businesses and contractors in Maidenhead with accounting, taxation and employment matters. From statutory accounts to pay-as-you-earn (PAYE) tax to business monitoring, our chartered accountants and tax advisors advise businesses in the most apt way. We have years of experience working in the accountancy practice – taxation and advisory, and work across more than 15 industry sectors with a prime focus to deliver measurable and lasting results. We are already guiding people and businesses with low cost accountancy and financial services in Maidenhead and surrounding areas. These services range from bookkeeping, auto-enrolment, taxation and financial accounting. Our clients, to name a few - healthcare institutions, construction companies, personal service companies, educational institutions, contractors, and freelancers etc., count on us to help them save taxes and money at every possible opportunity. Online accounting solutions typically are responsible for managing the firm’s financial records such as receipts, payroll, accounts receivable, accounts payable etc. to keep an account of the flow of funds in the business. They provide answers to questions like – What is the current inventory? What records exist for receipts, payroll and other fund flows? The management uses accounting systems to establish long-term investment goals for the business and to oversee and control the financial resources of the business. Nomisma Solution, our cloud-based accounting solution is programmed to meet the needs of small businesses, freelancers and contractors. Nomisma is a very economical and fully integrated solution providing bookkeeping and taxation management including Value Added Tax (VAT), payroll and filing. DNS Accountants help clients meet their statutory requirements. The experience of our learned team of chartered accountants in Maidenhead enables us to tailor the accounts specifically to the clients and the sector in which they operate. Accounts Management and Business Plan – In addition to preparing statutory accounts, our chartered accountants and taxation professionals in Maidenhead help in monthly and quarterly accounts management to keep the business informed of areas, which the business might not see on a day to day basis. Statutory Accounts – Our expert team of chartered accountants and taxation accountants in Maidenhead guide clients at every step and ensures complete transparency right through the process. RTI And Payroll – Preparing weekly or monthly payroll can be a lengthy process and it’s difficult to be aware of the ever changing employment legislation. Our cost effective taxation accountants in Maidenhead guide and support private clients and small businesses in Maidenhead by reducing their tax exposure and maximize profits. Tax investigations and disputes – With years’ of experience in dealing with taxation matters, our chartered accountants and taxation accountants in Maidenhead help businesses resolve any official inquiry they are faced with and keep them away from legal action in disputes. Inheritance Tax – As per the inheritance tax limit passed in the budget, inheritance tax allow citizens to pass on more to the family without being taxed. Corporation Tax – Our tax accountants’ deal with corporate tax affairs for the clients, to include compliance & reporting. Self Assessment and Tax Return (Income Tax) – Self assessment can be confusing and time consuming for business/individual and is a system through with HM Revenue and Customs (HMRC) collects Income Tax. 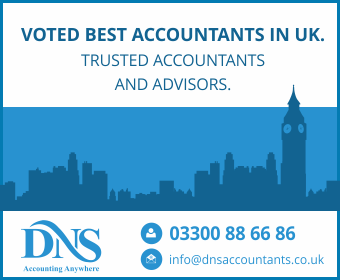 DNS Accountants – accountants in Maidenhead-Berkshire, provide specialized accountancy and tax services that are adapted to the personal and business needs of contractors, small-businesses and freelancers. Our chartered accountants in Maidenhead focus on providing dedicated and professional services to all local businesses and individuals operating in Windsor, Slough, Staines, Crowthorne, and Chesham.